A couple of hours in the archipelago of Lake Saimaa, the biggest like in Finland, or on the Saimaa canal is a wonderful program on a summer day. 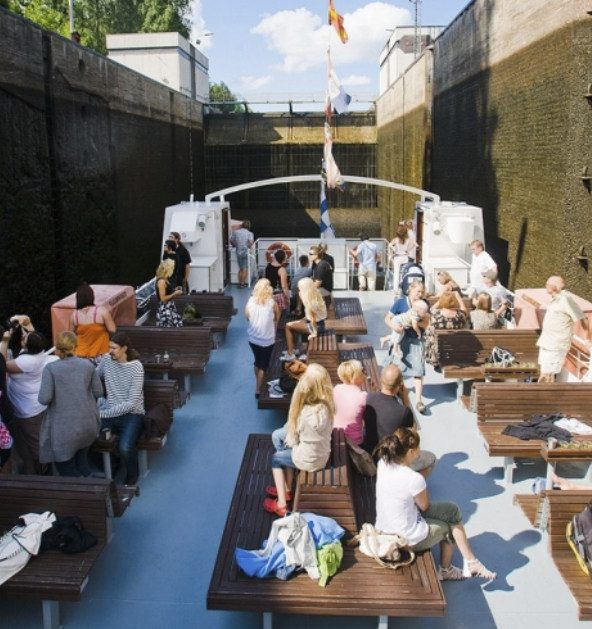 M/S Camilla is the boat of high standard cruising in the South-Eastern district. On board M/S Camilla there is a fully-licensed restaurant, sundeck and guided route. 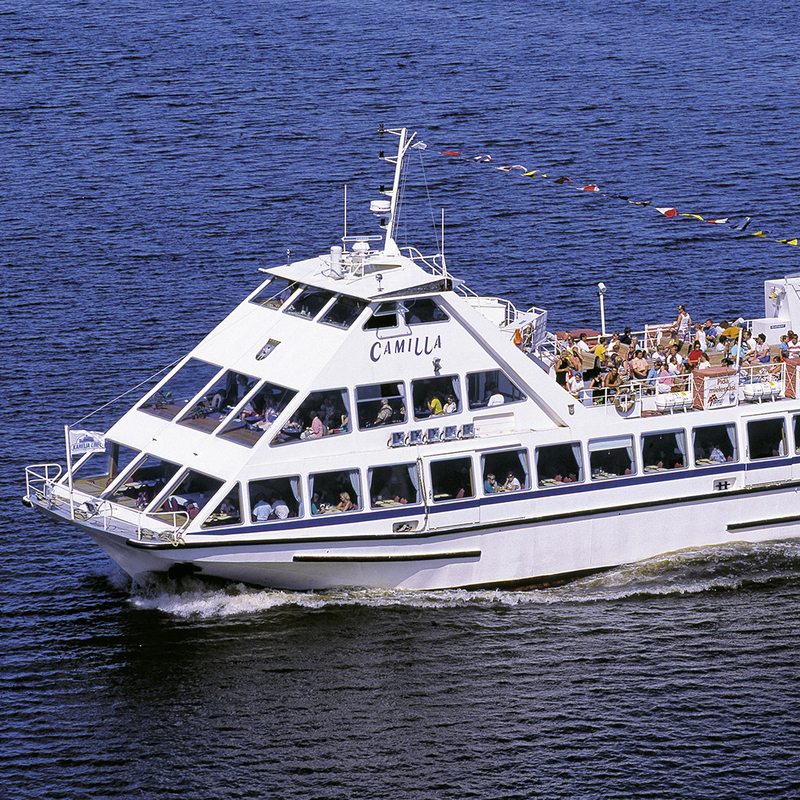 It is a splendid choice for any kind of company party, family party or a charter cruise. On board M/S Camilla it´s no difference what the weather is like. According to Your wishes we plan the menu, the drinks, the program etc. Allow us to take care of Your every need! 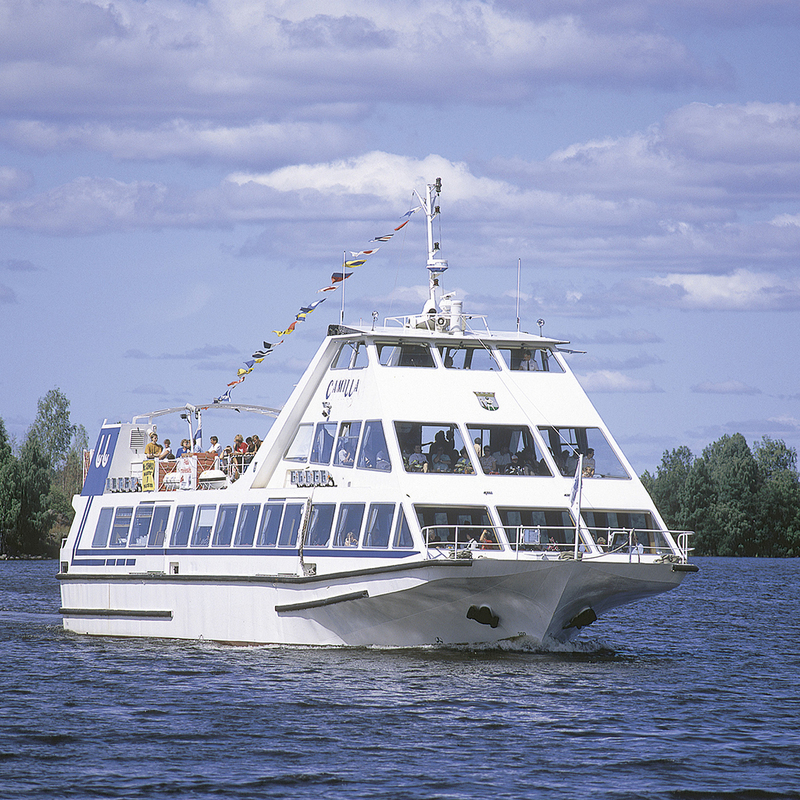 In July in addition to the schedule above Saimaa Canal cruise on Saturdays 3 p.m. – 5 p.m. and on Sundays 12 p.m. – 2 p.m. Ask also offer for Charter Cruise! During the cruise You can enjoy good food and cold drinks! On board M/S Camilla there is a fully-licensed restaurant, bar and sundeck. On summer time our office is open in the round kiosk in the harbour from Monday to Saturday from 10 am to 6 pm. All year around You can also reach us by phone or email! Terms of transport: The shipping company is not responsible for possible delays, cancellations, interruptions of the journey or missed connections. Rights for changes of timetables are reserved. The scheduled cruises with passengers less than minimum can be cancelled or done by another ship.